Sadly, many dogs begin losing their vision as they get older; others may go blind due to illness or injury. However, dogs are very resilient -- physically and emotionally. 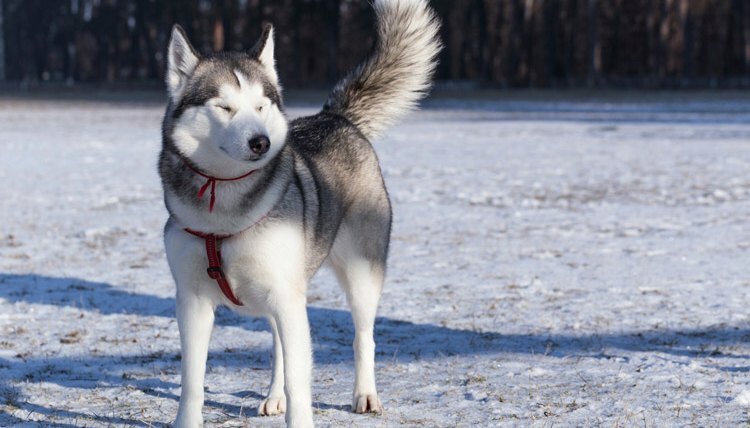 If the blind dog is otherwise in good health, with some time, a few adjustments around the house and a little assistance from you, chances are that she will rise to the challenges of her new condition and resume normal function. Your dog can live a happy life with her blindness, but for many dogs, there is an adjustment period. Young dogs who live indoors and have a gradual onset of blindness usually adjust the most quickly, while older dogs, outside dogs and dogs with a sudden loss of vision might take a little longer to get used to their new conditions. For the first few weeks, your dog may show signs of increased fear or aggression, or may seem listless and depressed. This is normal and should improve as your dog regains her bearings. She may develop separation anxiety as well, since she will be more reliant on you. Sight is the third most important sense for dogs, after scent and hearing, which leaves your pal with some powerful tools to adjust to the new challenges in her life. There are a number of steps you can take to make your home easier to navigate using senses other than sight. Try to keep important objects, like furniture, your dog's water and food bowls, and the dog bed or carrier, in the same place in the house and keep the floor clear. Use scented oils or perfume to map out important areas or hazards. For example, dab vanilla at the top and bottom of the stairs, and use a different scented candle or plug-in for each room to help your dog navigate. Leave a small mat or rug in each doorway so your dog can tell when she's crossed from one room to another, and tie a bell or wind chimes to the back door so she can find the yard when it's time to go out. Place plants along the house, fence and porch, so the leaves will touch her before she runs into something. You may also want to pad any sharp corners on your furniture. Teaching your dog a few new commands will allow you to communicate dangers clearly to your furry friend. Use clicker training, a method based on sound, and verbal commands to teach "stay," "come," "slow," "stop," "step up" and "step down." If you use these words consistently every time a hazard comes up in addition to training sessions, for instance saying "step down" when you reach a curb on a walk, your dog will naturally begin to learn what they mean. Talk to your pal frequently to let her know where you are and help her feel more secure. Remember that she cannot see you approach, so always make noise and make sure she is awake before touching her. Always allow her to sniff strangers' hands before they pet her. You may want to get a bandanna or other clothing article for her that indicates she is a blind dog to prevent strangers from walking up and petting without asking. Invest in some toys that either smell or make sounds. You can scent the toys you already own with different essential oils to help make them distinct. Toys with bells inside, strong scents or those that play a sound for 30 seconds or more once pressed can make fetch possible with your blind dog. Watching your best friend struggle with blindness can be heartbreaking. In fact, some owners take it harder than the dogs do, but it's important to let your dog figure out her new world through trial and error. Avoid the urge to pick her up and carry her when she's having a hard time. Imagine how confusing it would be to be blindfolded and suddenly transported to a random location in your house. Instead, use the sound of your voice to encourage her around obstacles. While the adjustment might take some time, your dog will soon start compensating with her other senses and return to the happy and energetic dog she's always been. Lydia Janssen began her career writing news articles for the SPCA to connect adoptable pets with their potential owners. She moved into professional writing in 2009 and uses her experience as a dog trainer, SPCA kennel worker and veterinary technician to bring quality information to responsible pet owners. Can a Three-Legged Dog Climb Stairs?